Stephen Clarke was born in St Albans, England, and grew up in Bournemouth (“England’s answer to Malibu”), where he played bass in some of the worst rock bands in musical history before leaving town to study French and German at Oxford. He gained a first-class degree in Modern Languages, but refused to go for interviews with any big companies, and was told by his tutor, “if you have any children, don’t send them here.” The tutor has since died. After university, Stephen took a series of high-powered jobs in the wine industry (grape picking), tertiary sector (washing up in a German hotel), and in international diplomacy (teaching English to bored French businessmen). 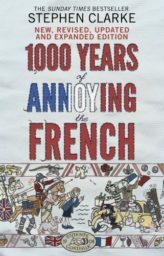 He then moved to Glasgow, Scotland, where he was hired to put rude words into French and German dictionaries – check out his work on “motherf*cker” in the Collins-Robert French-English dictionary. The travel bug soon bit again, and in 1993 he emigrated to Paris take a job as a journalist on an English-language magazine, of which he eventually became editor-in-chief. 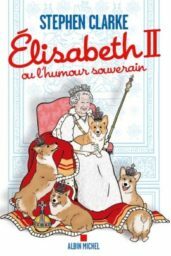 While a journalist, he wrote sketches for the BBC Radio satirical news programme Week Ending, and a story, O Solo Mio, for legendary American illustrator Gilbert Shelton. He had been writing fiction for several years, and, despite fierce opposition from his bank manager, finally decided to self-publish three novels – Beam Me Up, Who Killed Beano? and A Year in the Merde via his own (fictional) company, Red Garage Books. 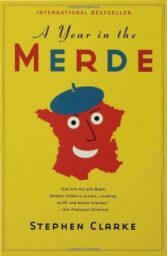 The publication date for A Year in the Merde was April 1, 2004. 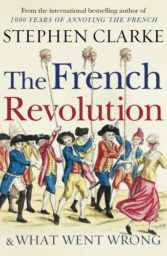 He began trying to sell A Year in the Merde first, as he was living in Paris, and after three months of schlepping copies around the streets in a shopping trolley, he was invited to do a reading at an English-language bookshop. 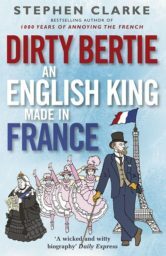 He also attracted the attention of Susanna Lea, who signed him up and sparked off a bidding war between British publishers. Transworld UK won the auction, mainly because they promised Stephen that they had their own delivery service, so he would not have to do any more heavy lifting. 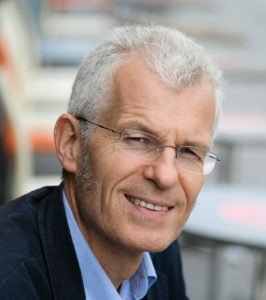 Susanna Lea Associates have since sold the rights to A Year in the Merde to 21 publishers around the world, and in 2005 Stephen was nominated for a British Book Award for Best Newcomer. 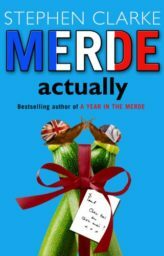 In 2005, he published Merde Actually, the second novel starring the young Englishman Paul West. 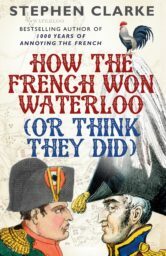 It went to number one in Britain’s Bookseller Original Fiction chart. 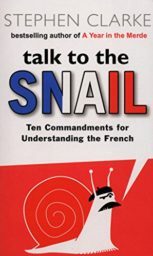 Stephen followed this up in 2006 with Talk to the Snail, The Ten Commandments for Understanding the French, a little book that tries to describe French society in chapters like “thou shalt not love thy neighbour”, “thou shalt be wrong” and “thou shalt not get served” . 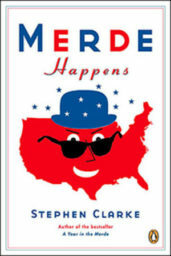 April 2007 saw the publication of Merde Happens, in which Paul West drives across the USA in a Mini. 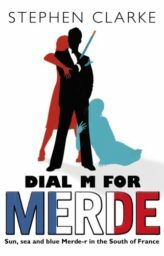 The fourth Paul West novel, a comedy thriller entitled Dial M for Merde, was published in the US in September 2008. 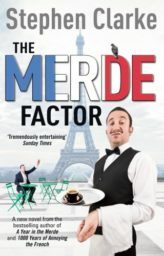 The fifth, The Merde Factor, was published in Fall 2012. Stephen has now sold well over 2.5 million books worldwide. 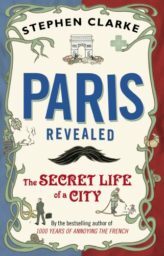 He still lives in Paris and “divides his time between writing and not writing”. 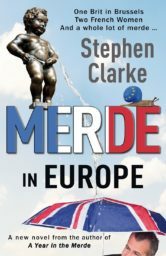 The film adaptation of A Year in the Merde is currently in development, and Stephen is one of the presenters of a new comedy documentary series called Johnny Saucisson, made for French TV channel Canal +. Stephen has contributed to the Op-Ed page of the NYT and is a regular contributor to England’s Observer newspaper and the London Sunday Times Travel section.